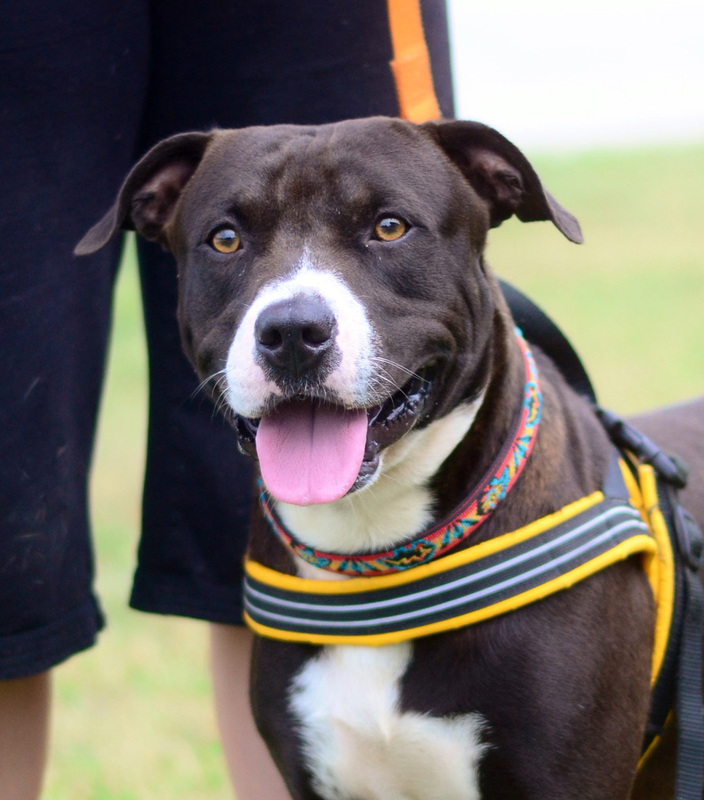 This beautiful black and white American Pitbull mix has had setbacks in his life. Rico was adopted, but returned because his owner moved and couldn’t take him along. Now this sweet boy is awaiting his true forever home. 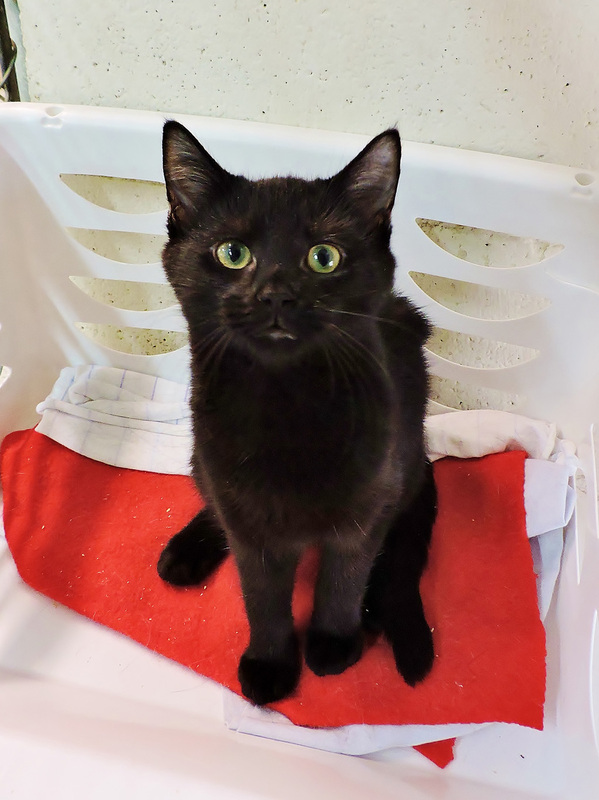 He is one year young and filled with playful energy, but behaves with restraint around people, especially children, as if he knows he’s a big boy and needs to practice safety first. Like many dogs, he is not a good choice for a home with cats. Rico is smart and has learned sit and is working on his other commands. Rico needs a home and a large yard where he can play and run would be best, and he would be a great indoor and outdoor family dog. If you’re looking for a large, goofy dog who loves to cuddle, then Rico is the perfect pooch for you! Zeelee is a four-month-old kitten with an unique name to match her unique personality. She is both a little shy and yet can be cheerfully playful. Will she scamper up and play with your shoelaces or will she stay where she is and play “hard to get?” Will she chase the toy you tossed her way or will she “duck and cover” under a blanket? It’s as if she feels cautious, but then remembers she’s a kitten! These very different behaviors make her a great blend of being not too rough and not too mellow, perfect for a family who wants a kitten who’s just right.